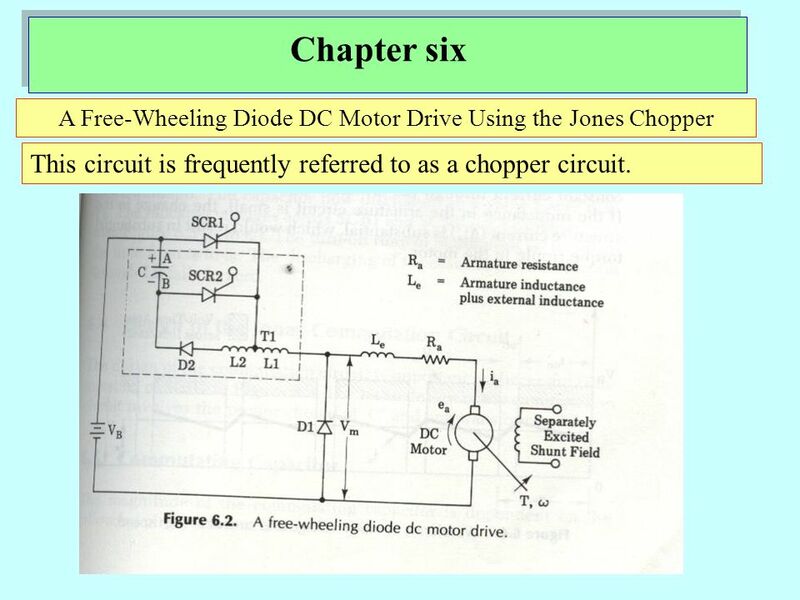 Chapter six A Free-Wheeling Diode DC Motor Drive Using the Jones Chopper This circuit is frequently referred to as a chopper circuit. 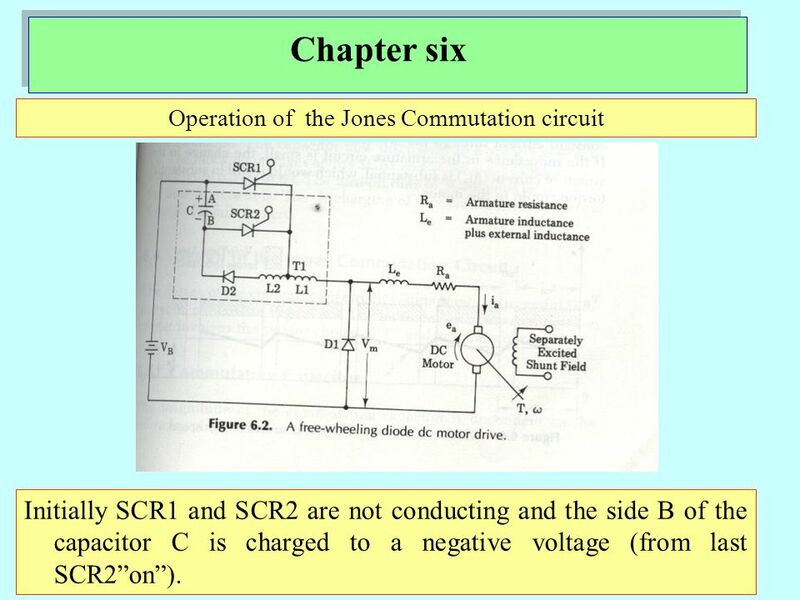 Chapter six Operation of the Jones Commutation circuit Initially SCR1 and SCR2 are not conducting and the side B of the capacitor C is charged to a negative voltage (from last SCR2”on”). 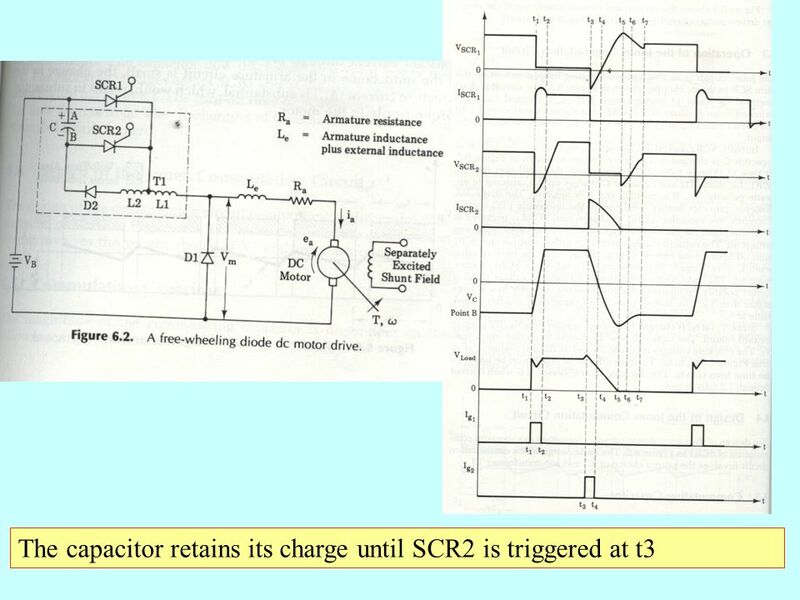 5 At time t1 SCR1 is triggered ,and the current passed through the load. 7 The discharged of capacitor C reverse biased SCR1 and turn it off. 8 C again charges up with A positive(energy in L1) and SCR2 turns off because its current falls below the holding value when C is recharged. 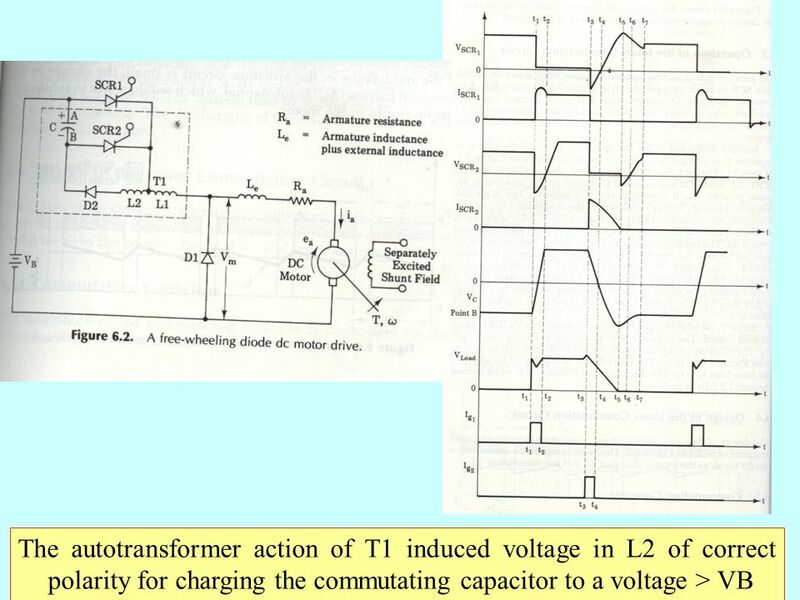 10 The bottom plate (B) of capacitor C reaches a peak value at t5. 11 Since Vc (at t5) is charged to a voltage greater than VB, D2 is again forward biased. 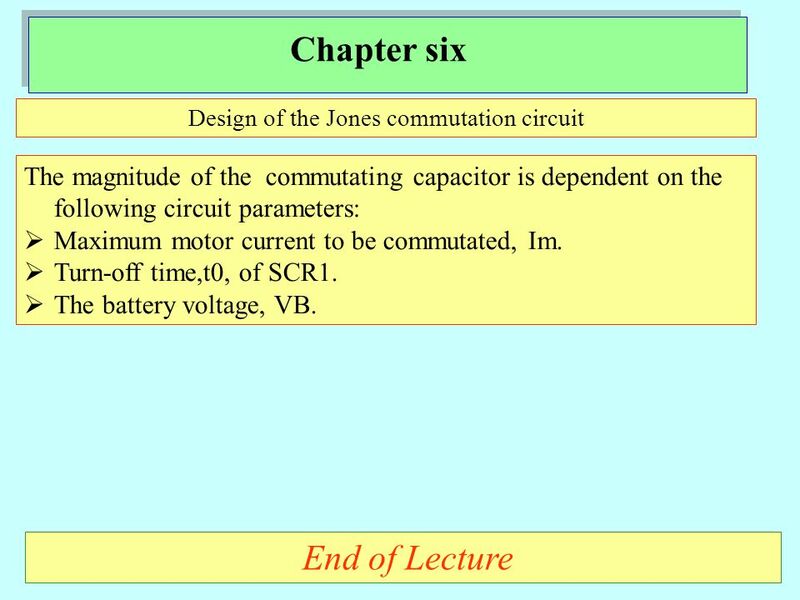 C discharges to a value lower than VB . 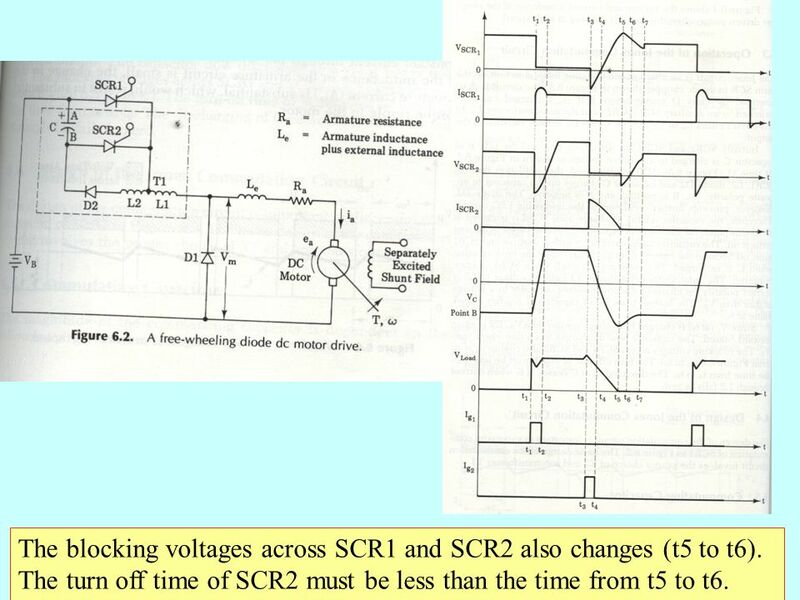 12 The blocking voltages across SCR1 and SCR2 also changes (t5 to t6). The turn off time of SCR2 must be less than the time from t5 to t6. 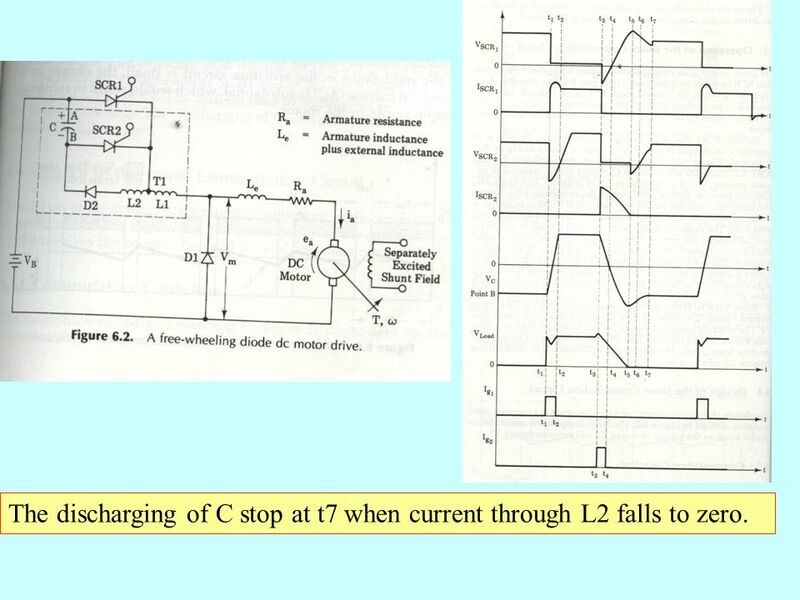 13 The discharging of C stop at t7 when current through L2 falls to zero. 14 The cycle repeats itself when SCR1 is again triggered. 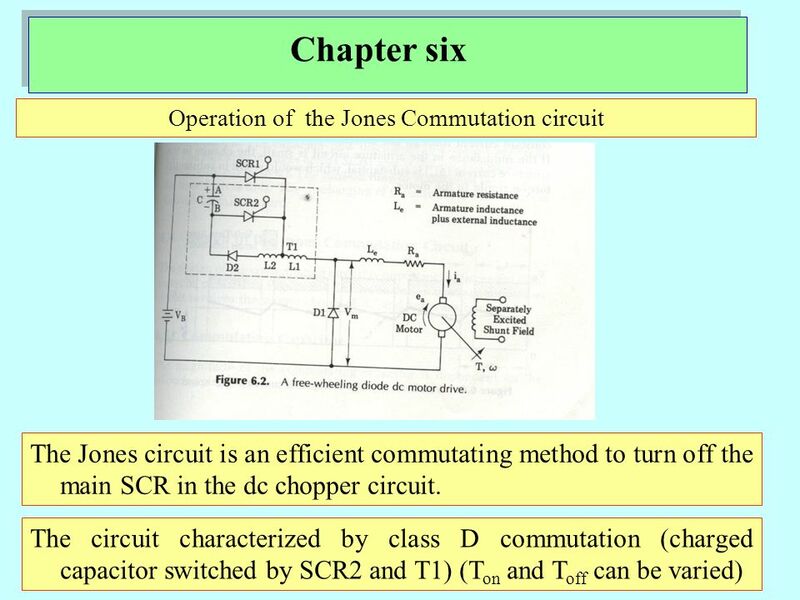 Download ppt "Instructor: Eng. 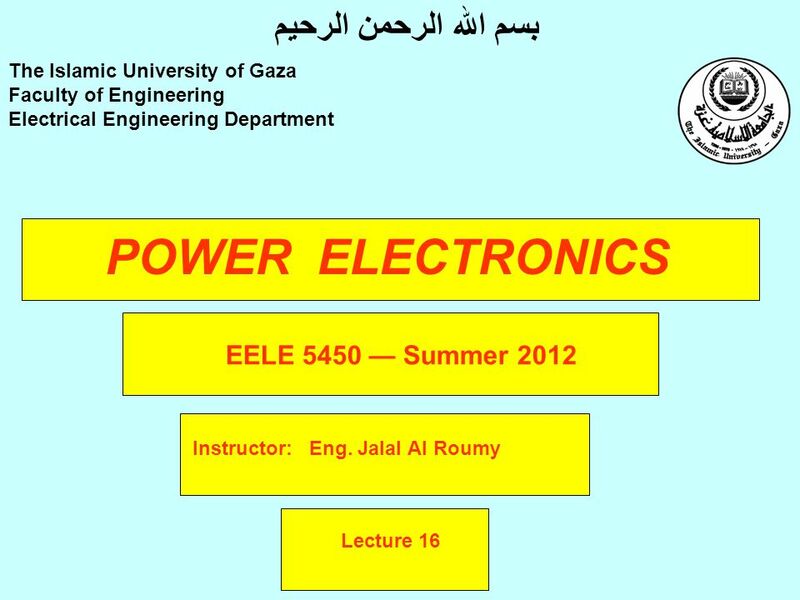 Jalal Al Roumy"
POWER ELECTRONICS Instructor: Eng.Moayed N. EL Mobaied The Islamic University of Gaza Faculty of Engineering Electrical Engineering Department بسم الله. 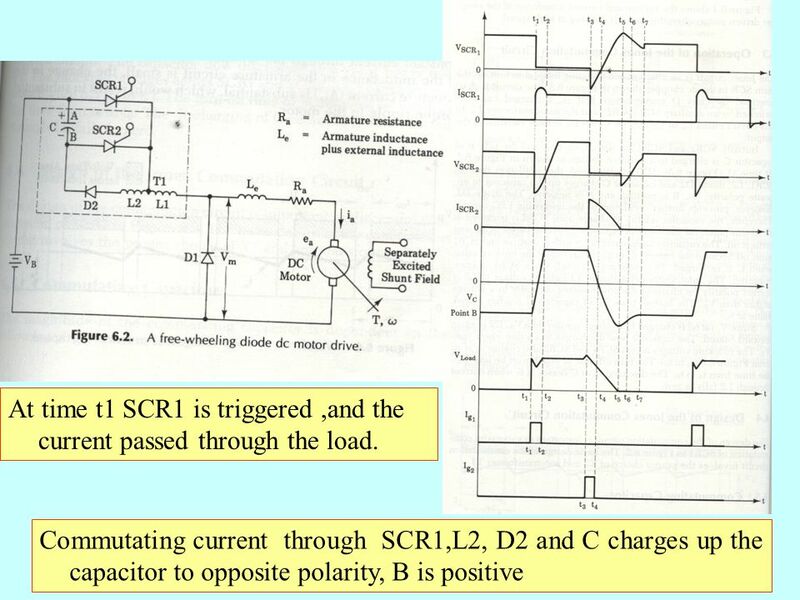 POWER ELECTRONICS Instructor: Eng. Jalal Al Roumy The Islamic University of Gaza Faculty of Engineering Electrical Engineering Department بسم الله الرحمن. 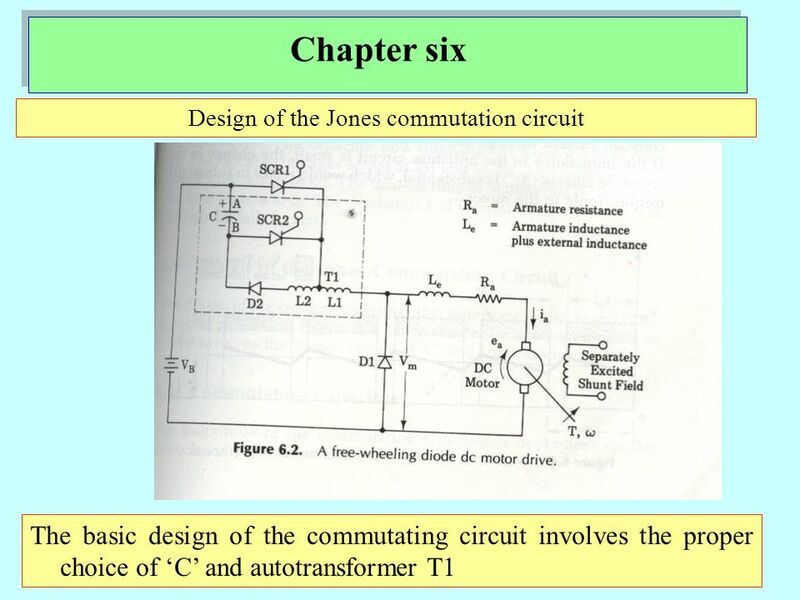 Electronic Devices Ninth Edition Floyd Chapter 11. 2. the intensity of light bulb A increases.